This is the listing of the second round of tiers we'll be presenting, beginning at 2pm Pacific, with Rick's original art. There's a couple pieces in here that are... well, you'll know 'em when you see 'em, I suspect. 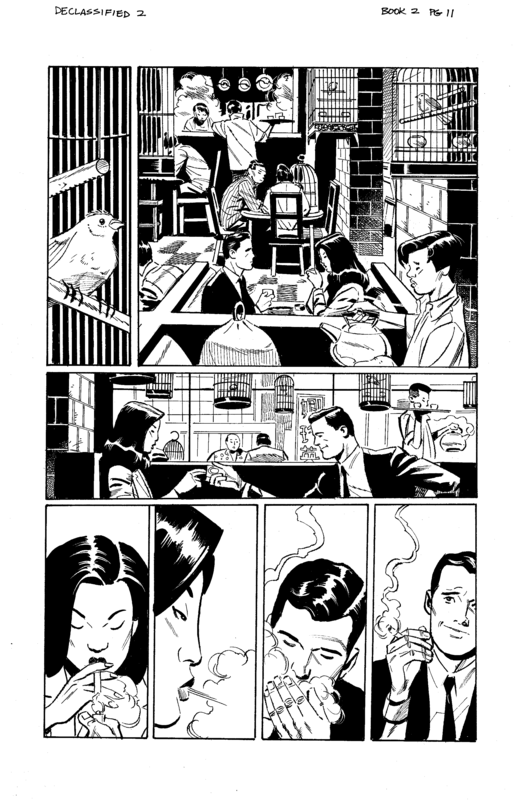 Detective Comics 765, Page 12 - "Vacancies." Commissioner Gordon's home has been robbed, and this strikes a particular nerve with Batman. 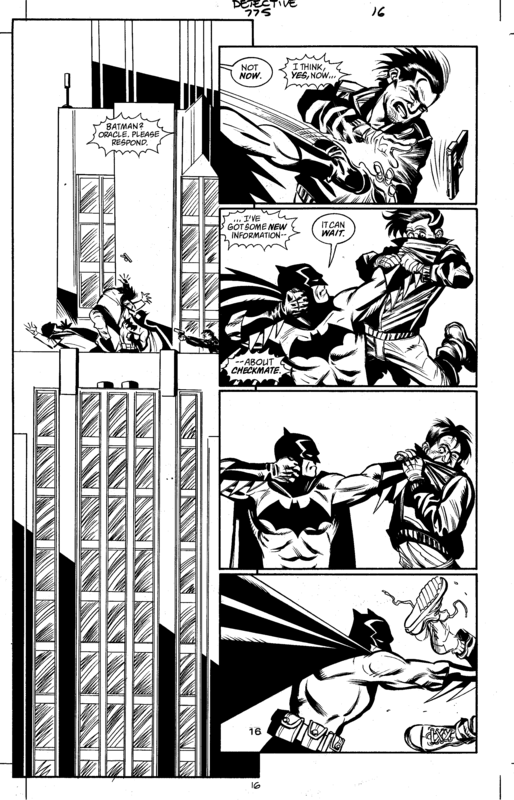 With Sasha accompanying him, Batman pursues the robbers, but is it revenge or something more that the Dark Knight is after? Page will be signed by Rick and Greg, and will come with a copy of the issue in question, as well as the Cloth Covers edition of the trade, and the full digital package. 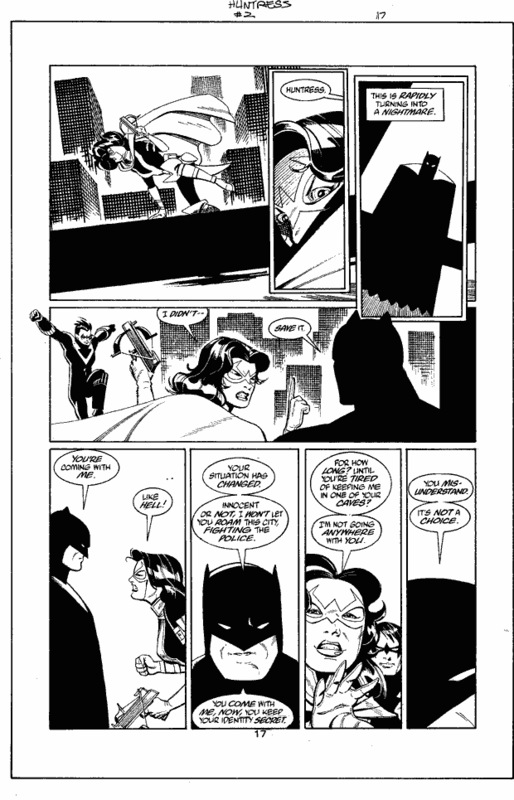 Detective Comics 775, Page 16 - "Atonement, Part Three." This was my last issue of my run on Detective Comics (barring my issues featuring Batwoman), and I'd asked then editor Bob Schreck if Rick could draw it. 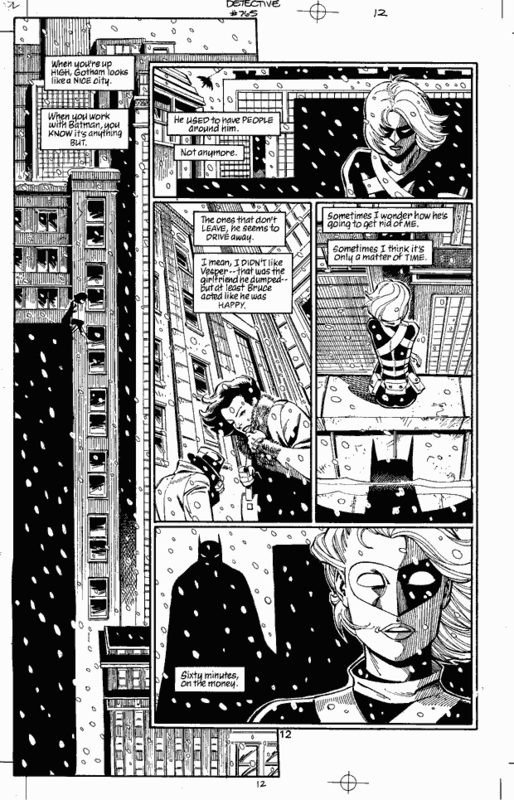 Following the "Bruce Wayne: Murderer" storyline, Batman has been unable to locate Sasha, who was imprisoned for murder. Believing she's now working for Checkmate, he's been waiting for the opportunity to finally confront her. Page will be signed by Rick and Greg, and will come with a copy of the issue in question, as well as the Cloth Covers edition of the trade, and the full digital package. Gotham Knights 13, Page 3 - "Officer Down, Part Seven - The End." 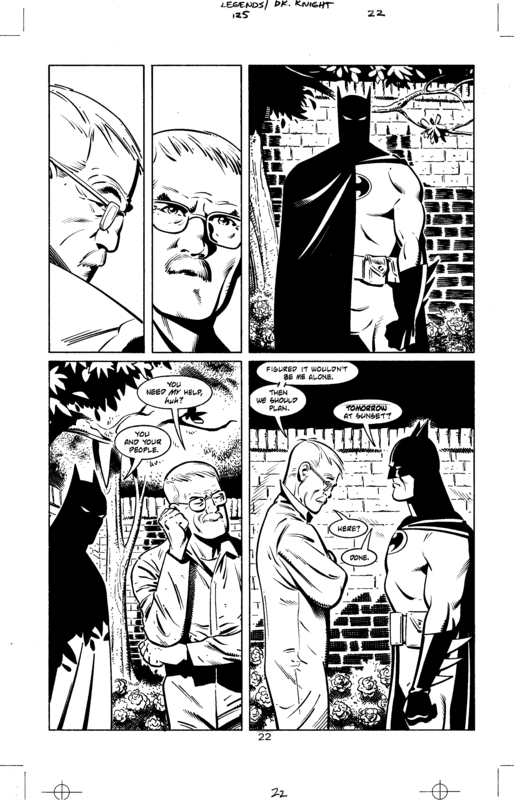 The conclusion of the Officer Down storyline, culminating in Commissioner James Gordon's decision to retire. 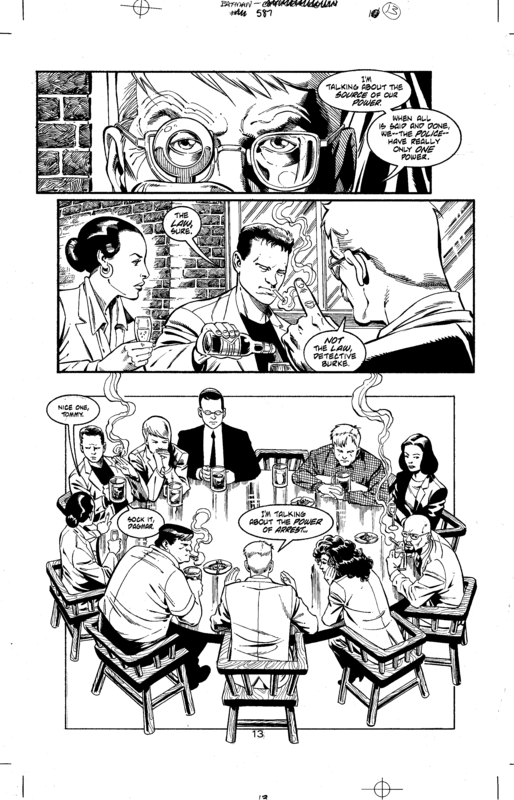 Another rare moment of Rick drawing the MCU detectives, in particular my favorite partner pair of Renee Montoya and Crispus Allen. Page will be signed by Rick and Greg, and will come with a copy of the issue in question, as well as the Cloth Covers edition of the trade, and the full digital package. 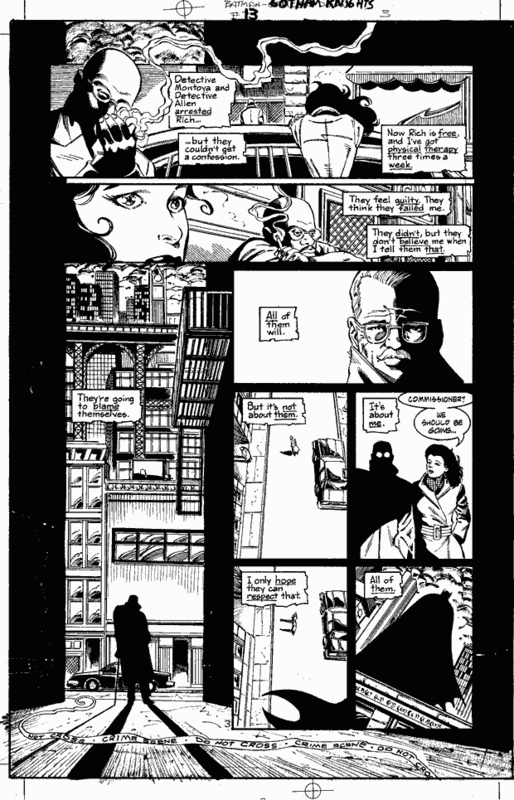 Batman/Huntress: Cry for Blood 2, Page 17 - "Cry for Blood, Part Two." Things for the Huntress have gone from bad to worse, putting her on a collision course with Batman, Nightwing, and the GCPD. Unwilling to follow Batman's orders, and afraid of being exposed as the Huntress to Gotham's Five Families, she looks for a way to escape. Page will be signed by Rick and Greg, and will come with a copy of the issue in question, as well as the Cloth Covers edition of the trade, and the full digital package. Queen & Country Declassified II Issue 2, Page 11 - Having put away their guns, Wallace and Detective Mei find a teashop and have a chat in an obvious homage to John Woo's "Hard Boiled." Page will be signed by Rick and Greg, and will come with a copy of the issue in question, as well as the Cloth Covers edition of the trade, and the full digital package. Legends of the Dark Knight 125, Page 22 - "Falling Back." This is one of the first, and arguably best, things Rick and I have done together. Part of the No Man's Land storyline, the story is a sentimental favorite to both of us, and frankly, that's why we're pricing it so high. We'd be perfectly happy not to part with this one, ever. Page will be signed by Rick and Greg, and will come with a copy of the issue in question, as well as the Cloth Covers edition of the trade, and the full digital package. The 7 years Greg spent developing Sasha Bordeaux over various titles is a high point of my comics reading. From blond bodyguard to brunette cyborg, Sasha always managed to find the moral high ground even as the sand shifted beneath her! Sasha remains my hero and it's wonderful that Rick is offering pages from her earlier appearances. What makes LADY SABRE my favorite project together of yours is that you take the adventure into space but the characters all have their feet on the ground: a very neat trick! (Even the dragon expects quantifiable results, which is why I no longer work with dragons! :-)) Hold fast!